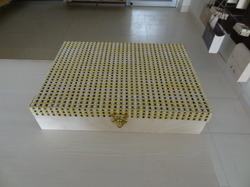 We are engaged in offering an amalgamation of world class products to our esteemed clients. 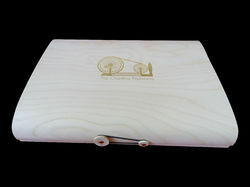 The Wooden Veneer flex box packaging is a novel concept, the Sweet cover Laptop Cases and pockets a successful brand from France and the Corbel range of photo frames have a distinct element about them. 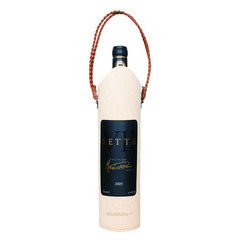 We design and create novel concepts of packaging for wines, champagnes, scotch, liquors and miniatures etc. We take immense pleasure in creating novel designs and concepts for weddings and associated events. 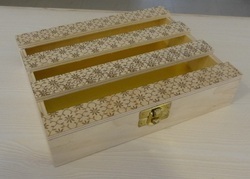 We use a series of species such as birch, cherry, mahogany and walnut for our wide range of boxes customised for gifting, jewellery, chocolates, weddings, events etc. 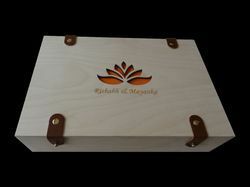 Pioneers in the industry, we offer jewellery drawer box and ambient stall 2015 from India. 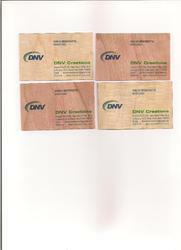 We offer very exclusive cards on wood veneer. 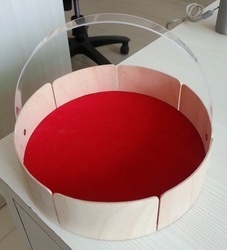 We are a leading Manufacturer of hamper basket dwo 12 from New Delhi, India. 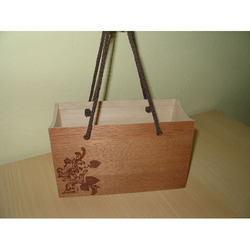 Our range of products include greetings slatted box dw0 02. 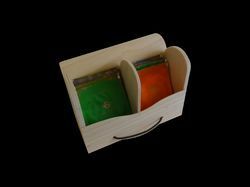 We are a leading Manufacturer of tea pouch box, tea box and tea pouch outer box from New Delhi, India. 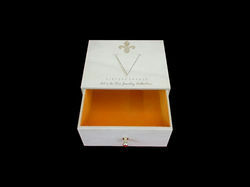 Offering you a complete choice of products which include wooden veneer flexi boxes, chocolate boxes, assorted chocolate boxes and wood veneer box. 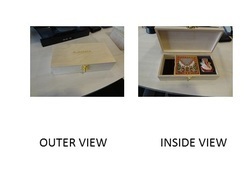 Our range of products include customized gift box and mango box.